Best costume goes to Nas who decided to dress up as Michael Jackson for Halloween and fans are freaking out and are telling him to get back with Nicki Minaj. The New York Mc took to social media where he shared yet another headline-making sensational costume that won the Internet. Saturday night, the “Made You Look” Mc was dressed as Pinky at a party in the Big Apple with his daughter, Destiny Jones. Sunday, he opted to be the King Of Pop, with black pants, shiny jacket, and shimmery glove. Fans are wondering where is the curly hair that Michael was famous for. The last time Nas was in the news, he was going after ex-wife Kelis who was reportedly making it very hard for him to see his son. 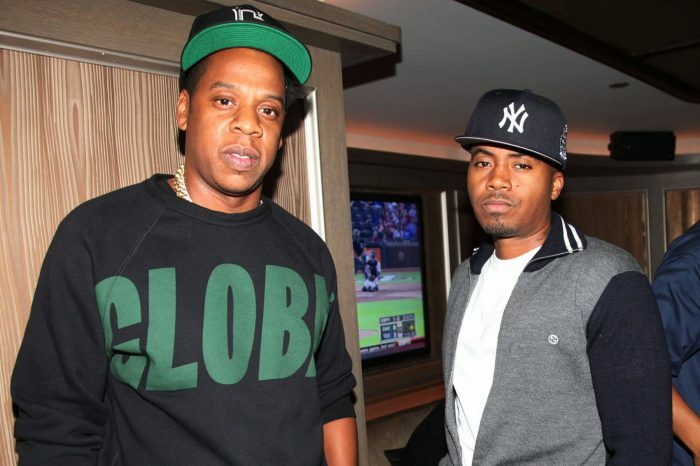 Nas appears to be a caring father.